– best rehabs and boarding schools therapeutic. 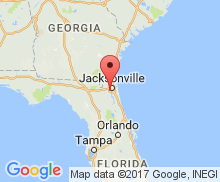 Comments: Christian rehab and addiction recovery center for women in the Jacksonville, Florida offering low-cost addiction recovery. 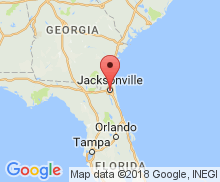 Comments: Affordable substance recovery and addiction recovery for men near Jacksonville including: Lakeside, Palatka, Ponte Vedra Beach, Orange Park. Comments: Addiction recovery for men near Dublin, Georgia, including: Atlanta, Dublin, Vidalia, Warner Robins, Centerville, Milledgeville, Perry, and Macon. Comments: Christian addiction recovery center for women in the Greater Ft. Lauderdale area, including Pompano Beach and West Palm Beach areas of Florida. Comments: Orlando, Florida area Christian rehab for Adult and Teen Challenge men works with addicted or alcoholic men from throughout Florida and Georgia. Comments: For a low cost, highly effective Christian rehab for women devastated by alcohol or drug abuse, please contact us now at (855) 934-4673. Comments: New Adventure Recovery Center is on the campus of Teen Challenge Adventure Ranch, for addicted boys 14-18. Insurance accepted. Adult & Teen Challenge works. It is effective; it is literally changing the lives of young Americans from every walk of life. Adult & Teen Challenge has a far better record of dealing with people in difficulty than do the bureaucrats. I truly admire Adult & Teen Challenge because of its loving, life-giving assistance to individuals who are bound by life-controlling addictions. Adult & Teen Challenge is one of the most successful programs in our country. Adult & Teen Challenge offers hope and restoration to individuals. Past Director, Synovus Financial Corp., AT&T Corporation, W.C. Bradley Co. I wholeheartedly support Adult & Teen Challenge . . . they really make a difference in lives and each of us can be proud that they are part of our community. I have been a long-time supporter of the work Adult & Teen Challenge has accomplished and the help they have provided over the years. Adult & Teen Challenge is doing the job that others only talk about. Talk is good, but more action is required. Adult & Teen Challenge is a reputable institution. We can also help you in your search for other drug rehabs near me, Christian rehabs, Christian drug abuse treatment programs, addiction treatment centers, Christian rehabs or rehabs near me. Finding the right alcohol and drug rehab is one of the most important decisions for an addict. It is important to understand everything you can about substance abuse recovery centers and drug recovery centers. Christian rehabs usually offer separate facilities for each gender. Insurance for addiction recovery forces drug addiction rehabs to complete their addiction recovery in 90 days or less, which usually doesn't work. Adult & Teen Challenge Centers are a long-term addiction recovery program and facility that is affordable, serving men and women from Florida, Georgia, North Carolina, South Carolina, Alabama, Kentucky, Arkansas, Oklahoma, Texas, Tennessee and Virginia.